Customer service and the broader world of customer experience continue to be driving factors in organizational success. Companies that excel in these are increasingly dominating in their respective industries. Gone are the days when companies could afford to neglect its customers. A number of excellent books on customer experience and customer service have been written over the last few years. Collectively, they provide a detailed roadmap on what companies – and individuals – need to embrace to create consistently outstanding customer experiences. Be Your Customer’s Hero is a great resource for people on the front lines of customer service. 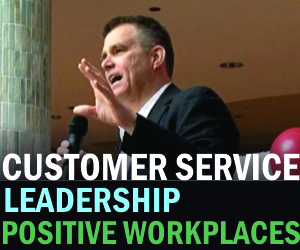 It’s also a great resource for people who deliver customer service training. Adam does a skillful job of identifying the customer service mindset. The book provides succinct and effective tips for virtually every situation a customer service professional might encounter. The Journey to WOW delivers deep and unique insights into creating fierce customer loyalty, and transforming an organization’s culture into one obsessed with customer experience. It examines the kinds of experiences we’ve all had as customers — things that so many organizations seem blind to. Situations like the inability to actually talk with a human, impenetrable phone systems, frustrating processes and uncaring people. Most importantly, The Journey to WOW shows exactly how to start seeing the flaws in your company and what you can do to fix them. Its lighthearted business novel format will draw you in, then deliver more than a few surprising “ah-ha” moments. Shep Hyken hits another home run with The Convenience Revolution. This book makes a very compelling case for a customer experience strategy of less friction and more convenience for customers. The examples and case studies in the book are irrefutable. Shep clearly connects the dots between improved convenience and company success, and shares six powerful strategies on how to get there. Hooked on Customers goes beyond standard customer service advice, and focuses on practical actions that organizations can take to improve their customer service. Bob details five organizational habits that successful customer-centric businesses have in common. He then goes past the theory and into the strategies for implementing them. One of the biggest takeaways of the book is the absolute commitment that leaders of an organization have to have in order to be successful. How to WOW is a delightful look at customer experience. It takes a very practical look at what it takes to engage customers virtually all situations. What makes this book particularly interesting to read are the powerful examples and interviews Adrian uses to support his insights. It’s pretty much guaranteed that everyone will find something they hadn’t thought of before in this book! Speaking of Raving Fans, this is a book that absolutely has to be on every list of customer service books. Ken Blanchard, in the business fable format he became known for with The One Minute Manager, teamed up with Sheldon Bowles to nail the essence of outstanding customer service. It’s fun to read. It’s a classic. And it should be read by everyone in customer service. In Getting Service Right, Jeff Toister tackles everything, and I mean everything, that is important when it comes to customer service. In addition to the core elements of customer service, he articulates many often overlooked concepts. Things like the unintended consequences of rewards and recognition, the impact of broken systems, the delicate balance involved in connecting with customers, just to name a few, are hard to express in a meaningful way. This book does it very well. Jeff’s undeniable expertise, mixed with wonderful personal anecdotes makes Getting Service Right an easy, enjoyable and enlightening read. Jeanne identifies a five-step plan for identifying current behaviours, and action plans for aligning to a Make Mom Proud philosophy. There is a huge amount of practical advice in this book for people at every level – and more than one “aha” moment! People-First Culture is a great look at all of the ‘people’ aspects of an organization – and how they contribute to its success. With some very relevant real-life examples, Michel connects the dots between company culture, employee engagement and customer experience. This book shines a light on some of the most common mistakes companies make which seriously compromise their future success. It also presents the compelling argument that a company which fails to invest in its employees does so at its peril. This is the seeming oddball in this list. Dale Carnegie’s classic is over 80 years old, and not strictly a book on customer service. But there is a reason that it has been ranked as the seventh most influential book in American history by the Library of Congress. It is still arguably the best book ever written on positive human interactions. The principles and skills it introduces hit right at the core of customer service. Even after 80 years, this book has stood the test of time. It is an absolute must-read. Shaun, I’m honored that my book made your list!